The World Baton Twirling Federation (WBTF) International Cup Competition gives athletes the opportunity to represent their countries, compete on an international level, and experience both the pressures and the benefits of international travel and competition. To participate in the International Cup, athletes must qualify through their countries’ qualifying process. In Australia athletes must qualify at the Australian. National Baton Twirling Championships a full year before each International Cup Competition is held. The commitment is lengthy, the demands are great, but the rewards are greater still. The International Cup Competition offers three levels of competition, Elite, A and B, giving athletes the opportunity to compete with similarly-skilled athletes. 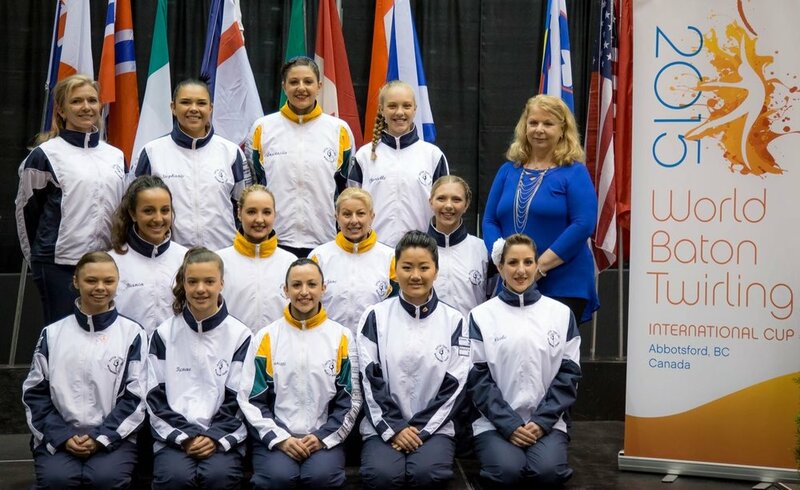 International Cup athletes have the opportunity to win international titles in events including Solo, 2-Baton, 3-Baton, Artistic Twirl, Artistic Pairs, Teams and Groups. for further information please contact Twirling Australia Technical Advisor Sonia Johnson . To participate in the International Cup, athletes must qualify through their countries’ qualifying process. In Australia, athletes must qualify at the Australian National Baton Twirling Championships a full year before each International Cup Competition is held. The Australian Trials Program selects Team Australia, a group of intermediate and Advanced level athletes The commitment is lengthy, the demands are great, but the rewards are greater still. The International Cup Competition was established by the WBTF in 2005 to provide more opportunity for international competition, to build twirling in developing countries, and to move twirling toward acceptance as an Olympic sport. It is hosted by WBTF member countries in early August of odd-numbered years. Important Note: International Cup Level B has been eliminated in the The International Cup Competition was designed to create an avenue for smaller countries to gain experience and success on the international level. Larger countries, such as Japan, USA and Canada do not send B level rather only A level and Elite athletes to this competition for that reason.